Nerdversity Comic Issue of the Week: Captain America – The Winter Soldier Directors Cut. (2014) Hot of the heels of The Winter Soldier movie, Ed Brubaker brings back issue 1 of vol 5 with new scenes. We see Red Skull’s assassination at the hands of The Winter Soldier, as well as Cap’s nightmares over The Bulge in 1944. 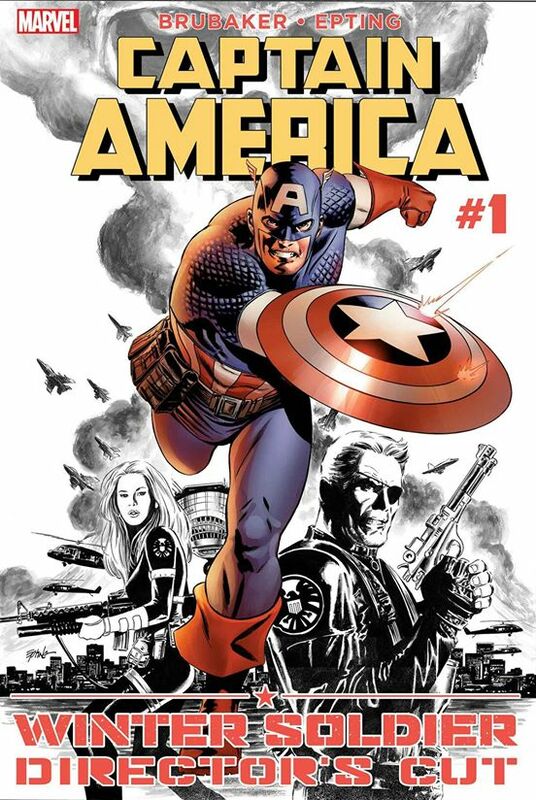 Steve Epting’s art matches perfectly with Ed Brubaker’s story, proving as to why many fans consider Brubaker’s run to be the best run of Cap ever. This entry was posted in Comics and tagged captain america, marvel, winter solider by servant sears. Bookmark the permalink.